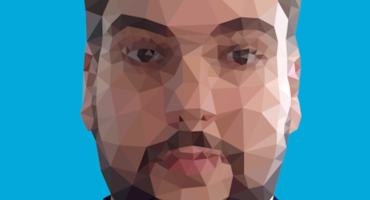 In continuation of our Meet the Team interviews, we spoke with Maël about his life at Sketchfab and what makes him tick, so that you can learn a little bit more about us! I come from France and I’m 23. I am currently living in Paris. How long have you been with Sketchfab? How did you hear about it? What’s your role here? Hm, I have been at Sketchfab for almost a year and a half now. 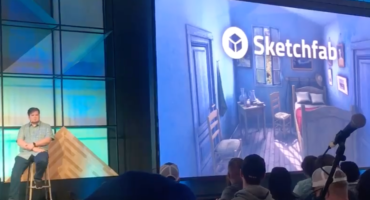 At the time, I was studying in Montréal, looking for a job when a friend told me about Sketchfab. It seemed nice and the technology was pretty cool. After meeting Alban, Cédric and PA (the Founders) via Skype, we decided to meet at New York a few weeks later. It was a great weekend! 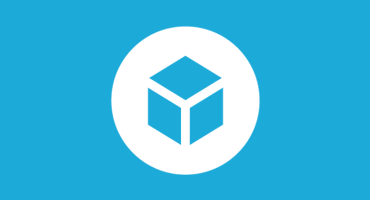 My job here is to build the web components that power the Sketchfab website. There’s a lot to work on, from the comments to the search filters! How did you get into programing/engineering? Many developers artistic eyes are usually somewhat weak, and I’m sadly not an exception! Despite admiring artistic works, I’ve sadly never really been able to succeed in these things, including 3D modeling. I’ve tried a few times to learn Blender but… there are too much buttons! What is your favorite model on Sketchfab? Hard question! I love all 3D scenes, where you can really see characters inside their own environment. These kinds of models are usually very lively, and “flying” into the scene to see how it looks under different angles can tell you a totally different story. For this question, I think I will nominate one of the models coming from the VG Remix contest (which probably produces some of my all-time favorite Sketchfab models)! A lot of things! Let’s just say that it’s evenly split between my girlfriend, friends, and side projects. Oh, and Guinness! Marc (one of our engineers) often says that he has never heard me hating on a movie, and he’s pretty right, so it’s actually hard to answer this question too. However, I really liked Guardians of the Galaxy, and Django Unchained. They were great films, with exactly the right mix of humor, action, and badassery. I’ve got a Google Music All Access constantly running, so I listened a lot of things. But here are some of my favorites : Sabaton, Alestorm, Therion, The Black Mages. PANCAKES!!! And something with salmon… and steaks. Well, no wonder it will be my last meal, now that you think about it! Come on, this is a corporate blog! What is an accomplishment you have achieved that makes you most proud? I created a conference a few weeks ago about one of my last side projects. Everybody liked it (the conference, and the project)! That was great, and very motivational.